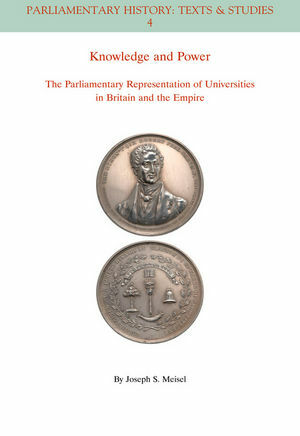 Knowledge and Power: The Parliamentary Representation of Universities and the Empire presents the first comprehensive account of how universities held seats in Britain's Parliament between the 17th and 20th centuries and how the idea of university representation spread throughout the British Empire. Joseph S. Meisel is the Deputy Provost at Brown University. He was previously a program officer for the humanities at The Andrew W. Mellon Foundation. He is author of Public Speech and the Culture of Public Life in the Age of Gladstone (2001) and co-author of the forthcoming Harry Furniss –‘The Humours of Parliament’: A View of Late Victorian Political Culture.